Click on the cover image if you’d like to buy the item from Amazon.com through an affiliate program with this website. G. K. Chesterton was a man who discovered the secret to a happy life—I doubt one can read much of his work without coming to that conclusion. The most natural reaction to his body of work, I think, is amazement: to wonder what secret this man discovered that allowed him to take so much delight in a sheet of brown paper, for example, or where he found the energy to defend his faith in a land growing faithless with so much gusto and wit. In Manalive, a short novel full of events as improbable as the name of the story's protagonist, Chesterton shares his happy secret with the rest of the world—a world that has grown old and weary because it has grown melancholy. 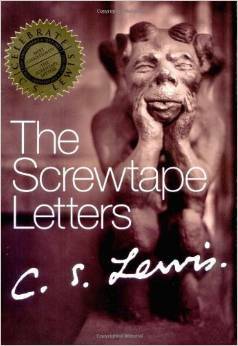 Though the language and examples are dated in certain parts, The Screwtape Letters has managed to retain a great deal of its freshness and power in the almost seventy-five years since it was first published. It is an important book, a book that reveals a keen insight into human nature on the abstract side and, on the practical side, a book that will force you to reconsider your own assumptions and unquestioned behaviors; but, even more than that, it is a fun and often funny book that manages to sneak in all those abstract lessons and practical benefits in an entertaining package. But if other classics can be accused of being difficult to relate to for a modern audience, Casablanca effortlessly dodges the charge. Immediately the films plunges us into its story and we're not allowed to come up for air until the tale has been told—a tale of murder, war, intrigue, love lost and regained and lost again, and most of all, of sacrifice. Because the movie is so captivating, one forgets that it's in black-and-white within a few minutes. Except for the Bible, there isn't a book I've read as many times as Dickens's A Christmas Carol. Again except for those found in the Bible, there isn't a story I'm more familiar with than that of the mean-spirited, miserly Ebenezer Scrooge, who repents one year during the holidays and ever after knows "how to keep Christmas well, if any man alive possessed the knowledge." And I've not only read A Christmas Carol, I've watched countless movie and theatre adaptations of the book. Some are great, some merely good, others are best forgotten; some are faithful to a fault, some are updated retellings (I love Bill Murray's Scrooged), others twist and play with the central idea (none better than Blackadder's Christmas Carol, about Ebenezer Blackadder who, at the beginning of the movie, is the kindliest man in England). As good as some of them are, though, none of the adaptations can hold even a nineteenth-century candle to the original.